Team this dress with a tropical hat and you're ready to go on safari! 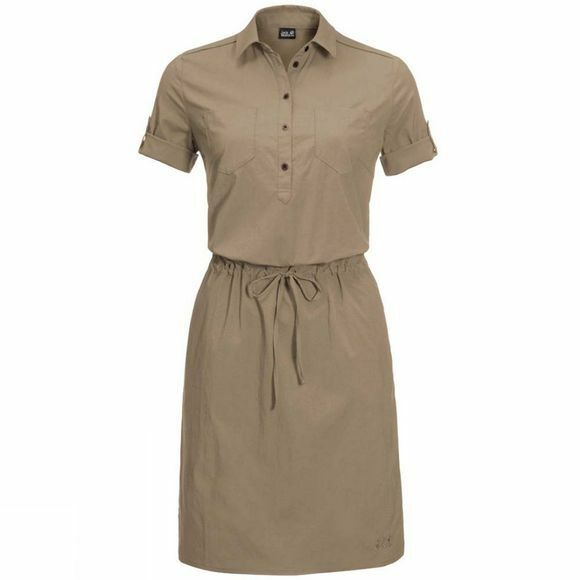 The Womens Desert Park Dress is both fashionable and functional. Whether you're packing for a big adventure or spending the summer at home, this stylish and practical dress is a must-have item for your summer wardrobe. The dress is made of Nylon stretch UV fabric. It has a cotton-like texture and feels light and airy on the skin yet is also very hard wearing. The fabric is also stretchy, so it gives you full freedom of movement. The waist draw cord allows you to style the fit the way you want it, and the sleeves can be worn loose or rolled up and fastened with a button tab.